While a lawyer in Liberty, Missouri, Burnett was on the legal team representing Joseph Smith and other Mormon leaders from charges of treason, arson, and robbery. The defense attorneys were granted a change of venue, and during the transportation of the prisoners they escaped to Illinois. 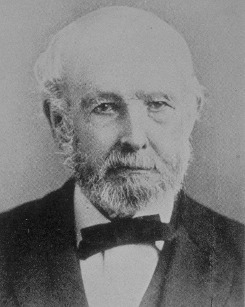 Burnett and his family moved to what would become the Oregon Territory, where he served in the provisional legislature. In June 1844 he offered a bill "for the prevention of slavery in Oregon," and it was passed into law. Burnett's legislation, the Exclusion Law of 1844, solved the slavery problem by making it illegal for blacks to live in Oregon. For an incentive to leave Oregon, the law allowed them to be publicly flogged every six months. As Governor of California, Burnett championed essentially the same bill again. But this time it was defeated in the California legislature, with the help of pro-slavery politicians who specifically wanted to import black labor.